• Every night at the Arby's in Uptown at least one doofus tries to use the drive-through on foot and I've never once thought "I bet that's a fugitive." • Can someone please tell Gwyneth Paltrow thanks but not thanks. We're all set. • Taylor Swift and Katy Perry are feuding over John Mayer, whose music I've consistently been mocked for liking since 2002. • This is wonderful, but after seven decades together I'll bet they already have a gravy boat. 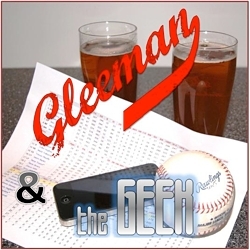 • On this week's "Gleeman and The Geek" episode I talked/argued with David Brauer and John Bonnes about whether the Twins' management saying "we get it" means a damn thing. Revere has hit .307 in two seasons with the Phillies, but still has a sub-.700 OPS. • I want this 26,000-hour DVR, just for "Chopped" episodes. • McDonald's has applied to trademark the word "McBrunch." Their mimosas could be interesting. • I thank god for this every day. • If you watch this GIF of per-capita cigarette sales from 1972 to 2012 it's almost like people realized at some point they weren't good for you. 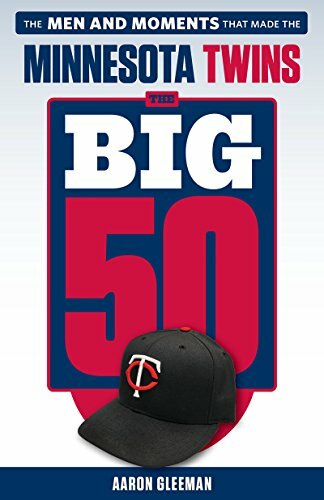 • How does Danny Santana compare to the other standout rookies in Twins history? Guerrero played his first full season in the majors when I was 15 years old. I feel very old. • As a kid I had plenty of logo-clad yarmulkes, but Chief Wahoo seems like a bad choice. • A lawsuit claims the Mets fired a woman because she had a baby out of wedlock. Seriously. • Having been to many of the bars in this "The Best Places To Watch Each Pro Football Team In Minnesota" article it sure seems like they assigned teams randomly. • Cardinals linebacker John Abraham, the NFL's active leader in sacks, "is suffering from severe memory loss and has been for more than a year." He is 36 years old. • Parker Hageman and Dan Anderson are apparently shooting video to accompany their "No Juice Podcast" episodes, which I can assure you is not something being considered for "Gleeman and The Geek." Fedora basketball seriously sounds like a great idea. • Old friend Francisco Liriano and his filthy slider are dominating again, for the Pirates. • My colleague Craig Calcaterra wrote a billion or so words about the "baseball is dying" silliness. • My latest television obsession is "Property Brothers" on HGTV. Highly recommended and oddly addictive, with Canadian accents to boot. - "Hunan chicken Weight Watchers points"
- "How will Joe Mauer be remembered?" - "Will Ron Gardenhire be fired?" - "Hawk Harrelson net worth"
- "Kevin Slowey fan mail"